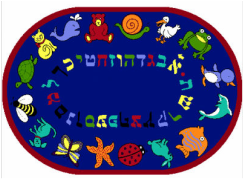 The Tzedek school offers Hebrew language instruction for all ages and all levels. Our expert instructional staff will provide your child with the tools to develop both conversational and written proficiency in Hebrew. From the Promise to Abraham to the Exile by the Romans to the Declaration of the State of Israel, courses examine the role of Jewish heroes and Jewish history as the essence of Jewish culture and the foundation for the future. * Click on this section's drop-down menu for information about our specific educational programs.